Need to hire your first Virtual Assistant but don't know where to start? 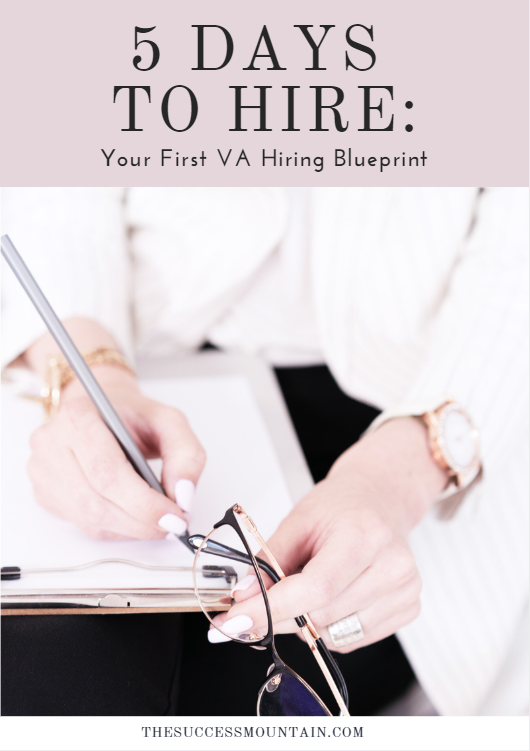 Get the free workbook where I teach you exact steps on how to hire your first VA! 5 Days to Hire: Your First VA! Free up time to grow your business! How to set your VA up for success! Create more time to work ON your business! You'll also be signing up for our newsletter where we send out exclusive content that doesn't go on the blog. Information curated just for you sent straight to your inbox! Get tips + tricks sent straight to you! Success! Check your email to confirm your subscription and grab your workbook! We won't send you spam. Unsubscribe at any time! © Copyright 2019 The Success Mountain. All rights reserved.